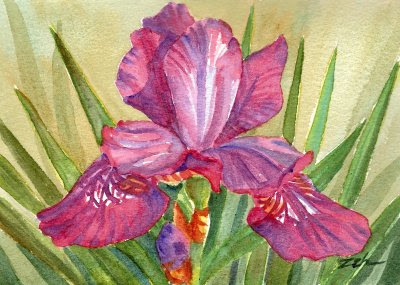 An iris that glows with red hightlights in the sunlight. I love the beautiful spread of this iris' petals. Almost regal!